Misconceptions abound about the Cinco de Mayo holiday. It's celebrated every year on May 5th and many see it as the day of the year to celebrate Mexican culture, food, and drink, but the origins of the holiday are not what you may think. Here are a few facts that may surprise you about this holiday and how it's celebrated, both in Mexico and by its northerly neighbors. Mexican Independence is celebrated every year on September 16. That date commemorates when Father Miguel Hidalgo y Costilla called the people of Mexico to rise up against Spanish rule in 1810, 52 years before the event that Cinco de Mayo celebrates took place. In 1862, a contingent of Mexican soldiers led by General Ignacio Zaragoza defeated a larger, better equipped, and better trained French military force. This battle took place in the city of Puebla at the Fort of Guadalupe. Zaragoza commanded a force of some 4000 soldiers, as well as some local indigenous Zapotecs and Mixtecs who joined in the fight, possibly armed only with machetes. They faced a French force of about double that size. The victory was short-lived, as the French went on to capture both Puebla and Mexico City by the following month. However, the May 5th victory was symbolic​ and provided a morale boost that inspired Mexican pride and unity. Cinco de Mayo is not a major holiday in Mexico. It is a day off for students, but besides some parades and civic events, celebrations are generally low-key. In Mexico, Cinco de Mayo is not, as it is in the United States, a general celebration of Mexican culture and history or even a time to imbibe substantial amounts of tequila (at least not more so than any other day of the year). In the city of Puebla, where the May 5th battle took place, Cinco de Mayo is celebrated to a greater extent than in the rest of Mexico, with a battle re-enactment and a major parade and fireworks. The parade winds its way along Cinco de Mayo Boulevard, to the area of the Forts of Guadalupe, just north of the city, where there are fireworks and general celebrations. Cinco de Mayo is really more of a Mexican-American holiday than a Mexican one. 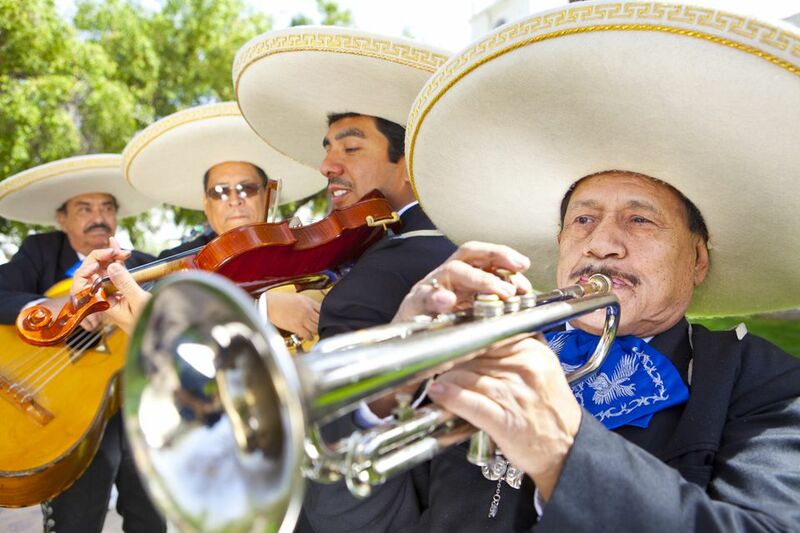 The first celebrations of Cinco de Mayo took place in California in 1863 as a way to honor the brave Mexicans who fought so valiantly against the French in the battle that day. Keeping in mind that the United States was engaged in the Civil War at the time of the Battle of Puebla, we can see that a Mexican defeat of the French helped to keep them from becoming involved and supporting the Confederate Army. In Los Angeles Cinco de Mayo is celebrated with a huge street fair as well as smaller celebrations in different neighborhoods.